MARGARET H. CHRIST, PH.D, CIA is an Associate Professor of Accounting, and the PwC Faculty Fellow in the Terry College of Business at the University of Georgia. 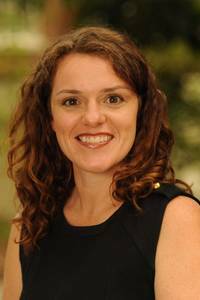 Her research focuses broadly on management control systems, including the effects of control systems and incentive compensation on employee behavior, the implementation of control systems in inter-organizational collaborations, and internal audit practices. She has earned several research awards from the American Accounting Association, including the 2013 Accounting Horizons Best Paper award, and outstanding paper awards from the Management Accounting Section, Information Systems Section, and the ABO Section. Her research is published in peer-reviewed journals such as The Accounting Review, Contemporary Accounting Research, Accounting, Organizations and Society, Auditing: A Journal of Practice & Theory, Accounting Horizons, and The Journal of Management Accounting Research. She is an editor for The Journal of Management Accounting Research and serves on the editorial boards of Auditing: A Journal of Practice and Theory, Accounting Horizons and Behavioral Research in Accounting. Dr. Christâ€™s research contributes to research and theory. As a result, she serves on the AAA COSO Committee, providing insights to the recent revisions of the COSO Internal Control Integrated Framework, and was recently named to the Institute of Internal Auditors Committee of Research and Education Advisors. The Institute of Internal Auditors, Institute of Management Accountants, and Institute for Fraud Prevention have provided grants to support her research that addresses issues important to the profession. Dr. Christ teaches accounting information systems and has developed a case-based curriculum that relies heavily on data analytics and data visualization techniques. Dr. Christ has presented teaching cases at the AAA Excellence in Auditing Education Workshop, the AAA Management Accounting Section Teaching Symposium, and the AAA Accounting is Big Data conference. Margaret H. Christ and Thomas W. Vance. Cascading Controls: The Effects of Manager Incentive Frame on Subordinate Behavior.Accounting, Organizations, And Society. M. H. Christ, A. Masli, N. Y. Sharp, D. A. Wood. Rotational internal audit programs and financial reporting quality: Do compensating controls help? . Accounting, Organizations, And Society, 44(2015):37-59. Christ M. H., N. Mintchik, L. Chen and J. BIerstaker. Outsourcing the Information System: Determinants, Risks and Implications for Management Control Systems. Journal Of Management Accounting Research, forthcoming. Anderson, S. W., M. H. Christ, H. Dekker, K. L. Sedatole. The Use of Management Controls to Mitigate Risk in Strategic Alliances: Field and Survey Evidence. Journal Of Management Accounting Research,26(2014). Margaret Christ. An Experimental Investigation of the Interactions Among Intentions, Reciprocity and Control. Journal Of Management Accounting Research, 25(2013):169-197. Bierstaker, Chen, Christ, Ege and Mintchik. 2013. Obtaining Assurance for Financial Statement Audits and Control Audits when Aspects of the Financial Reporting Process are Outsourced. Auditing: A Journal Of Practice And Theory, 32(Supplement):209-250. Margaret H. Christ, Karen L. Sedatole, and Kristy L. Towry. November 2012. Sticks and Carrots: The Effect of Contract Frame on Effort in Incomplete Contracts. The Accounting Review, 87(6):1913-1938. M. H. Christ, S. Emett, S. Summers, D. Wood. The Effects of Preventive and Detective Controls on Employee Performance and Motivation . Contemporary Accounting Research, 29(2):432-452. U. Anderson, M. H. Christ, K. Johnstone, L. Rittenberg. A Post-SOX Examination of Factors Associated with the Size of Internal Audit Departments . Accounting Horizons, 26(2):167-191.